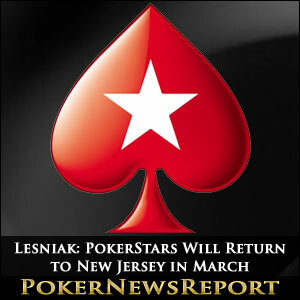 According to comments made on his Twitter feed, New Jersey Senator Ray Lesniak is confident that PokerStars will return to New Jersey in March 2015. 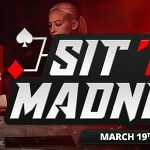 Last September, New Jersey online poker players had their hopes raised of PokerStars` return to the Garden State when New Jersey Senator Ray Lesniak tweeted that the re-launch of the world´s largest poker site would take weeks, not months . It was widely speculated that October 1st would be the re-launch date for PokerStars NJ, but unfortunately Lesniak´s optimism was unfounded and – as weeks turned into months – the Senator deflected the blame for the delay onto Governor Chris Christie and his political ambitions. In an exchange on his Twitter account this weekend, the Senator confessed that his original predictions failed to take into account Sheldon Adelson´s influence – the anti-online gambling campaigner allegedly persuading Governor Christie to not give PokerStars the green light while there was still a chance that his sponsored “Restoration of Americas Wire Act” might get passed during last year´s lame duck session. According to Lesniak, Adelson’s play to ban eGaming in Congress is dead and Poker Stars new ownership too formidable to deny . The Senator added that the only thing stopping PokerStars from entering the NJ online poker market prior to March was more due diligence window dressing . Hopefully, this time the Senator´s optimism is justified. PokerStars themselves are yet to comment on the progress of the company´s licence application. 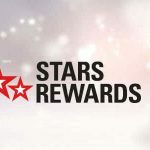 Although the theory about Governor Christie´s political aspirations appears to hold credit according to Senator Lesniak, other reasons for the delay of PokerStars re-launching in New Jersey have surfaced – including one that the PokerStars software still has to satisfy the demands of New Jersey´s Division of Gaming Enforcement. 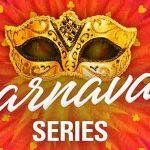 It certainly is true that the technology behind the software has to be investigated, and that PokerStars may have been making the launch of PokerStars 7 a higher priority than catering for what is likely to be no more than a couple of hundred players in New Jersey at launch; but such was Amaya´s determination to get a foothold in the US market that they took on billions in debt to acquire PokerStars, and it would appear unlikely that PokerStars has failed to launch in New Jersey due to a lack of resources. Good Times Ahead for Online Poker in New Jersey? After the first year of regulated online gambling in New Jersey failed to deliver on expectations, the second year looks to be more promising. 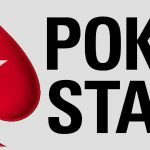 Not only will PokerStars entry into the market generate some impetus into the market, but WSOP.com and 888Poker have started sharing player pools in the Garden State to increase liquidity at the cash game tables and bump up the guarantees in their feature tournaments. There is also renewed talk of New Jersey forming a compact with Nevada to further increase liquidity, and even speculation that compacts will be formed with overseas jurisdictions – the UK coming at the top of the list according to NJ chief regulator, David Rebuck. Rebuck wrote in his end of year report that the NJ Division of Gaming Enforcement has been in discussion with its UK counterparts to set up an across-the-Atlantic compact. It would be great for online poker in New Jersey if a compact with the UK could be organised but – like the PokerStars saga – let´s not hold our breath on this one!